Here I am, a 27 (almost 28) year old mother of two. The season of life that I am in is where my children are young and very dependent on me (us). It is also the season where I am still trying to figure out what it means to be me. I feel like I have never been as close as I am now to achieving true happiness with myself. I am guessing that is due to aging and maturing. I’m in the season of life where the other people in my age group are getting married and having children. I keep telling myself that this is considered the “fun season”. Weddings, baby showers, independence, and growing our family; that is the season we are in right now. I am an observer. I watch people and take mental notes. Specifically, I watch my parents and in-laws. They are in a different season of life than I am. Their season (our parents) consists of grandkids, not being depended on for survival by their children, dealing with the process of aging, and caring for their parents. Then I watch our grandparents. 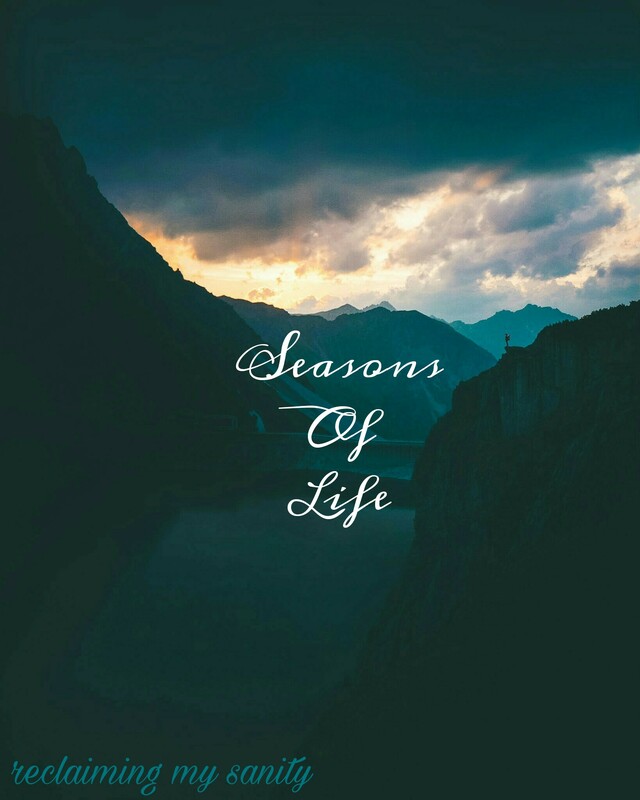 They are in another season of life. Great grandkids, depending somewhat (or a lot) on others to help them with things, their declining health, and unfortunately death of their friends and family. I know if I make it to be a grandma and great grandma or anything thereafter I will cherish every minute of it. Sometimes I think the older we get the sadder life becomes because we can’t do the things we once did and our bodies start shutting down due to aging. In a way, I am trying to keep that season of life from approaching too soon. I cannot imagine what our grandparents are feeling each day. I know what it feels like to lose my 2 grandparents. I cannot fathom how it feels to lose people on a regular basis. I cannot imagine the frustration they feel knowing that they won’t ever be “as good as new” again. I notice people tend to become leary about spending time with the older people. It makes being older seem more depressing, especially those who still have family around, but they (younger people) are too “busy” to come and see them or call. In my seasons of life, I don’t want to be that sad old woman. I don’t want the people I love (older people) feeling like that because I can only imagine how lonely that feels. There are 2 things you should take away from this. Cherish your season of life that you are in now and every season thereafter. Visit/call the older people in your life. Don’t let them think you don’t care because one day they will be gone. Put yourself in their shoes, would you feel lonely and forgotten? Listen to the song 100 years by five for fighting.